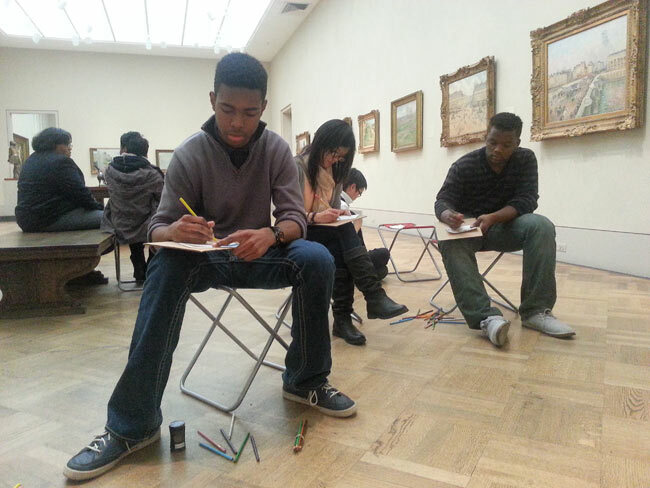 High School Sketch Club students working on a collaborative project in the Sean Scully exhibition. 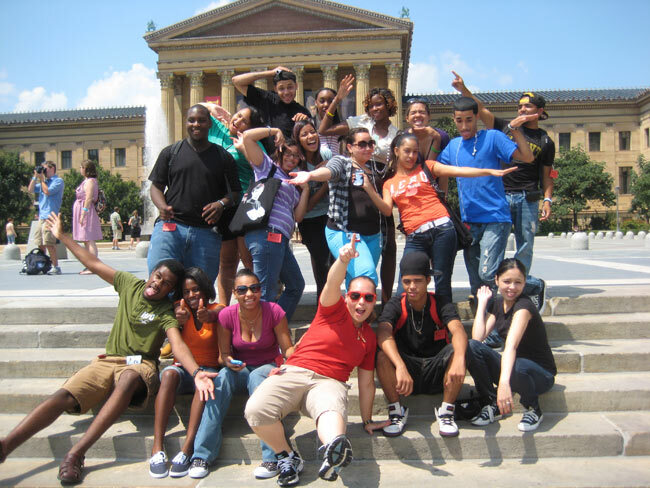 The Philadelphia Museum of Art strives to build and maintain partnerships with community organizations, schools, and social service agencies, offering programs and educational opportunities that connect diverse communities with the Museum’s rich collections and resources. 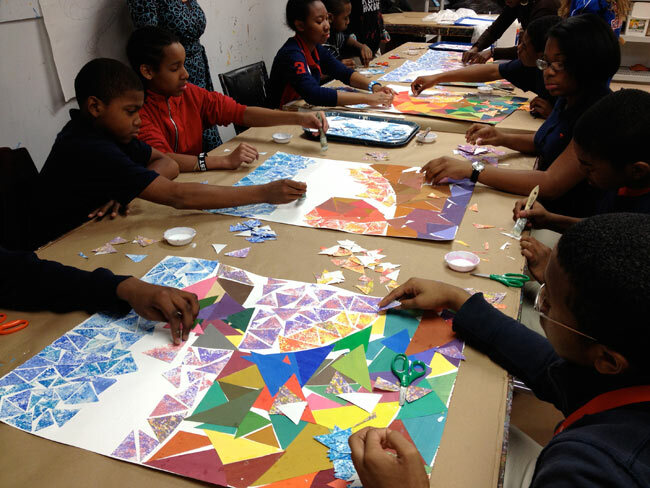 Using the arts to support and strengthen community-based initiatives in youth development and arts education, the Museum reaches out to communities around the region to enhance and expand its mission of making art accessible to everyone. 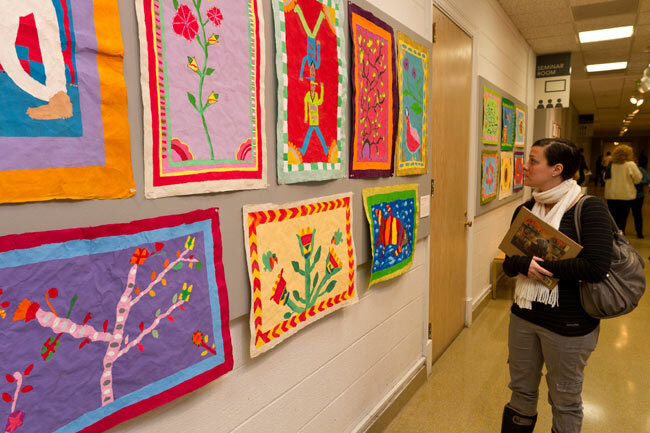 For over 20 years, the Division of Education has developed many partnerships with cultural, educational and social service organizations to engage diverse audiences and create a social fabric of inclusion and civic responsibility. 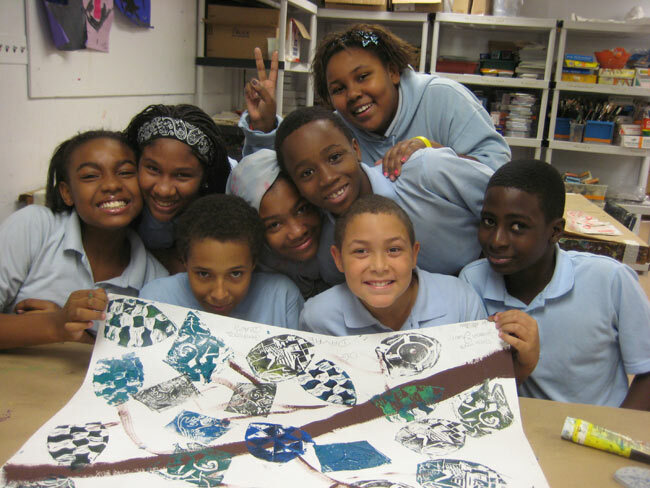 Thanks to grant funding, the Museum is able to offer free admission and transportation assistance to a limited number of Philadelphia community organizations. Free admission will be awarded on a first-come, first-served basis. 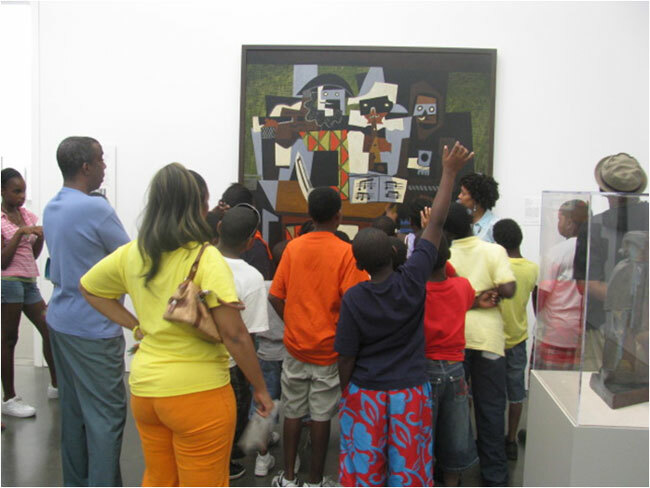 The Division of Education maintains a long-term commitment to partner organizations to provide collaborative art programs and museum visits for neighborhood groups and families. All projects are created with community leaders to customize curriculum and develop programs that connect with the interests and needs of the community partner. 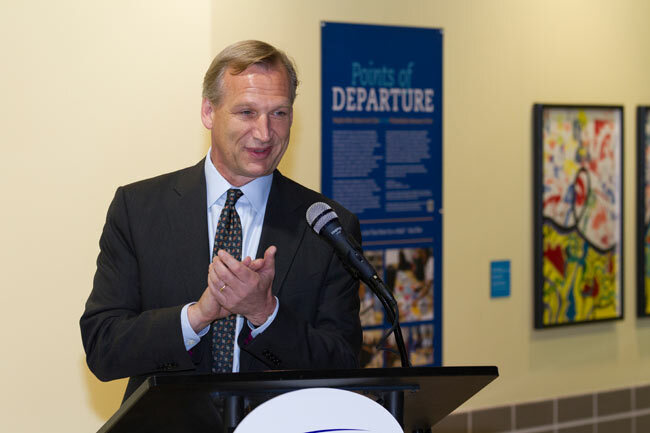 The Division of Education also supports special short-term projects to provide art programs and museum visits themed in conjunction with special exhibitions at the Museum. 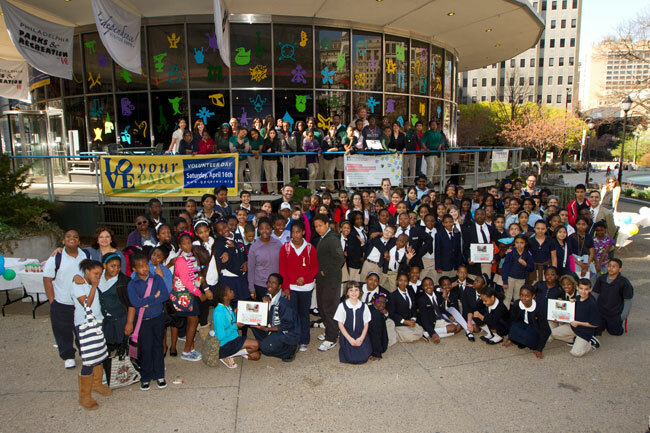 Every year the Martin Luther King Jr. Day of Service works collaboratively with the Global Citizen program to create service projects for young people at the Philadelphia Museum of Art. 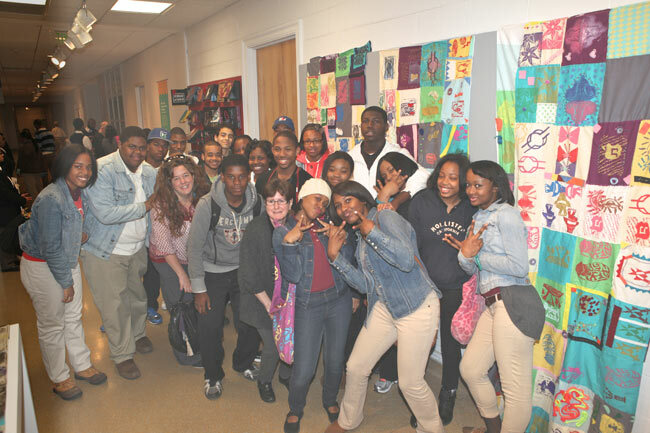 A recent partnership with Children’s Hospital of Philadelphia provided a teaching artist for 12 weeks to work with HIV positive teens to create multimedia documentary projects in connection to their identity and the city of Philadelphia. 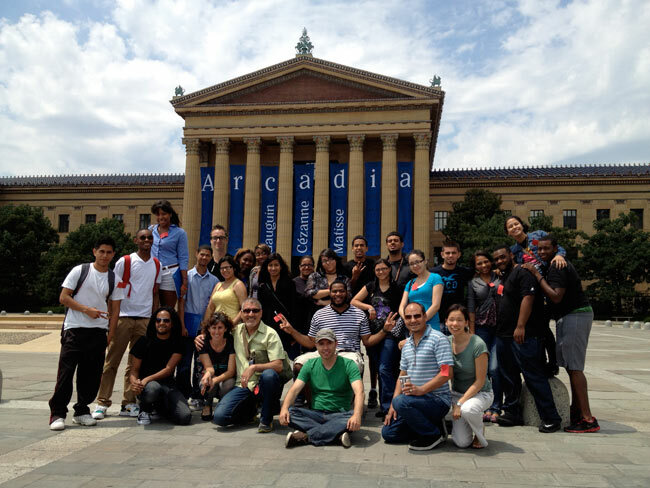 With the Community Connections Program, Education Staff work year round with community partners to customize free tours and projects so that each group can have a unique experience at the Philadelphia Museum of Art. Each tour and workshop is planned in collaboration to introduce community groups to the museum’s history, its mission and permanent collection while being reflective of the interests and activities of the community organization. All programs address inquiry based learning and critical thinking skills as guidelines. 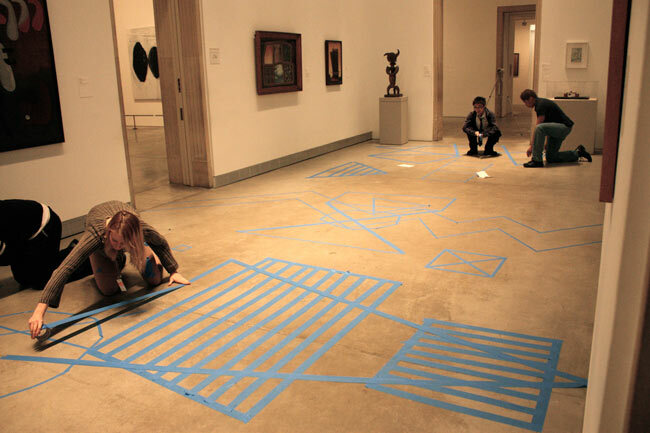 Become familiar with outstanding art objects in the Museum’s collection. 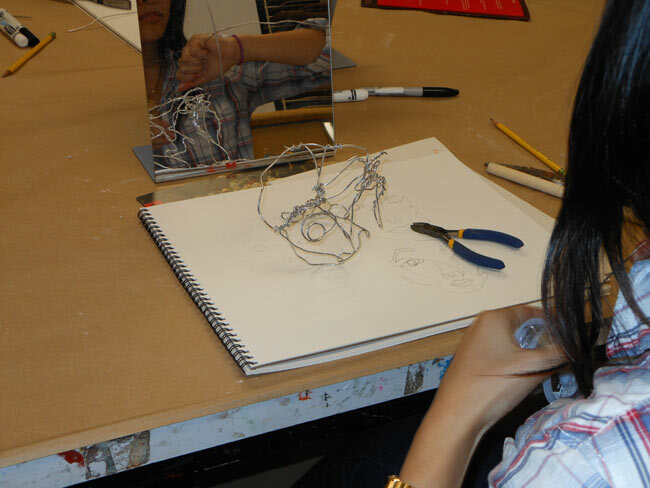 Discover and learn about career options in the fine arts. 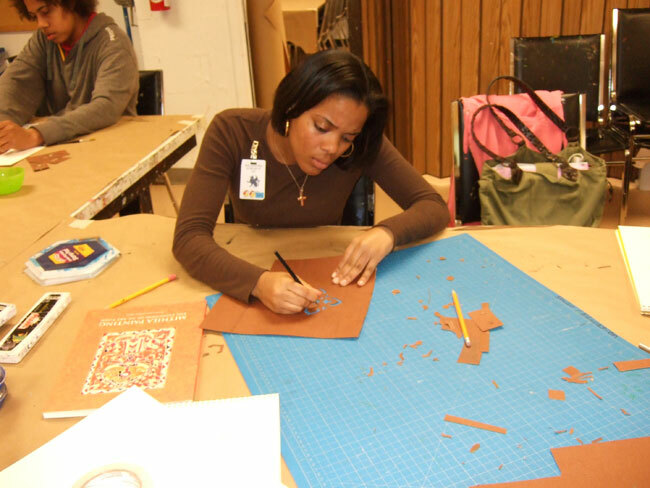 Develop portfolio materials for applications for future study in the visual and graphic arts. Increase general visual awareness with aid from professional artists. Each week will focus on a specific artistic theme such as - architecture, landscape, contour drawing or the human figure. 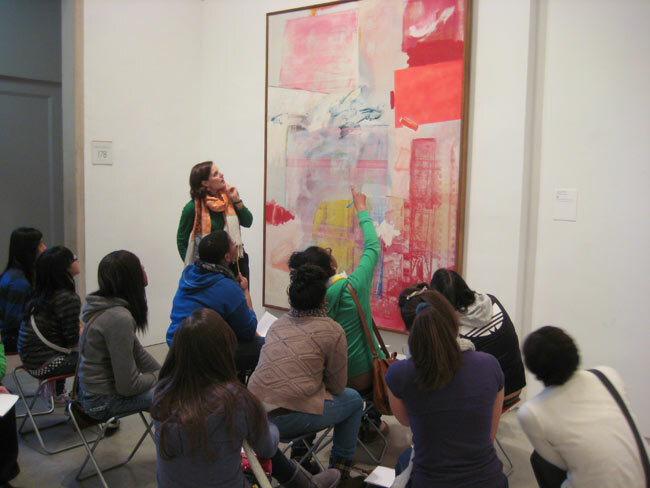 Students will spend time looking and discussing works of art in the museum’s galleries followed by guided drawing experiences. 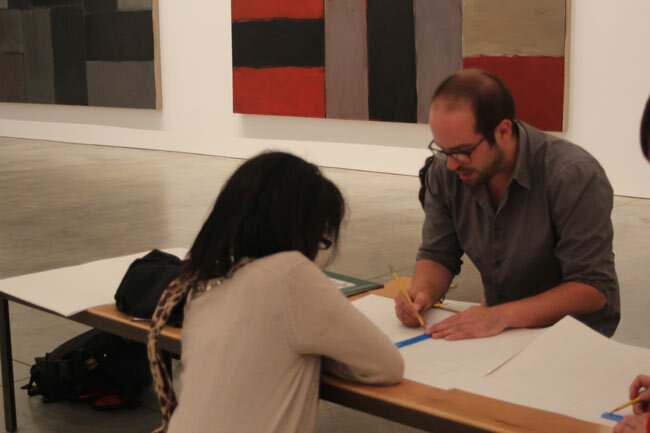 Every session will end in discussion and critique of sketches and experiences in a Division of Education art studio. 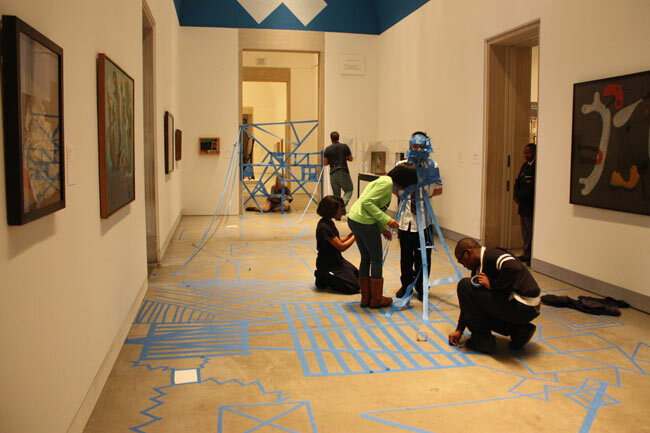 TAG is a unique opportunity for teens ages 14-19 to get involved behind the scenes at the Philadelphia Museum of Art. 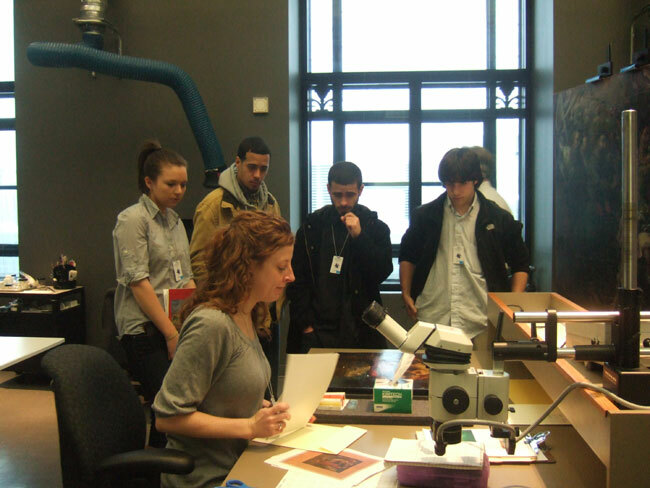 TAG members work with curators, educators, and other museum staff to create programs especially for teens. 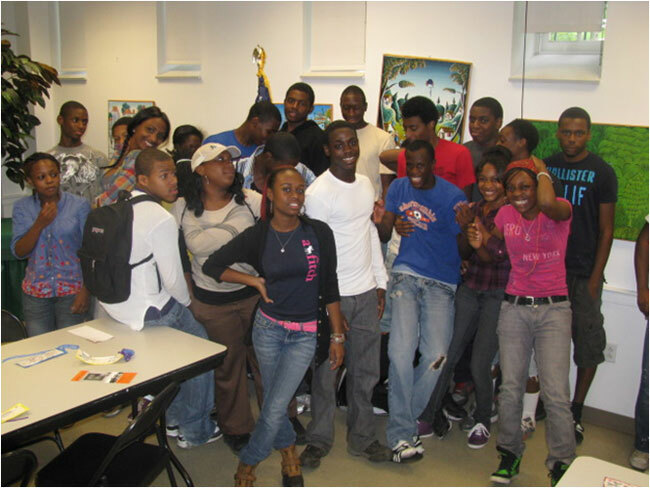 The program promotes creativity and leadership skills. TAG is a year-long commitment that meets twice a month during the school year. 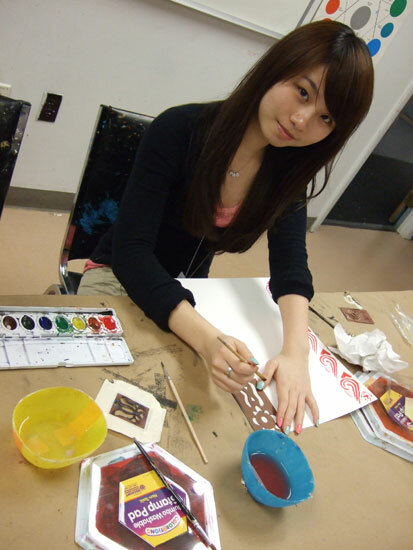 The Delphi Project Foundation, funded by Reliance Standard Life Insurance Company, a member of the Tokio Marine Group, supports innovative arts education programs to enhance the education for Philadelphia public school students and increase accessibility to the arts. 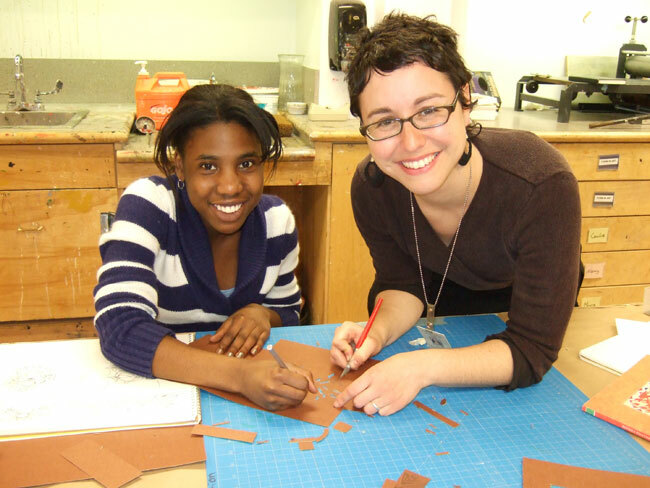 The Delphi Art Partners Program is an artist-in-residence program that pairs six professional teaching artists with six middle schools in the School District of Philadelphia. 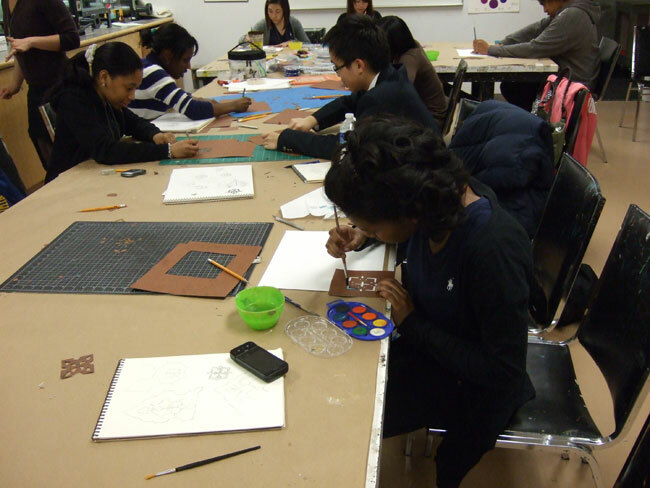 The professional artists spend 30 hours in residence at the schools and work with the classroom art teachers and students to design and implement engaging art projects. The program is enhanced with customized Museum gallery visits. 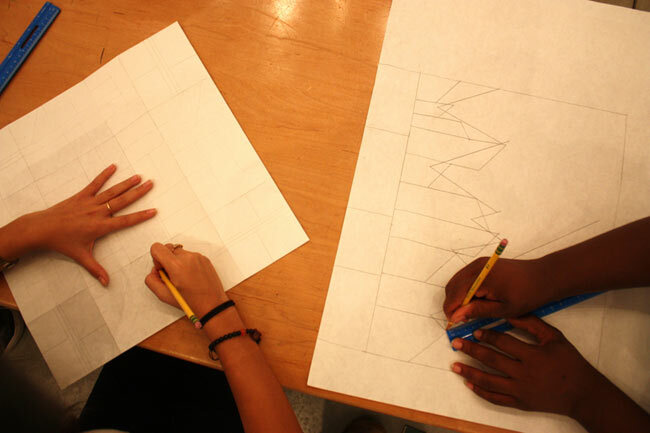 Through hands-on classroom art projects and Museum tours, the students use the visual arts to add an innovative artistic dimension to their school curriculum. 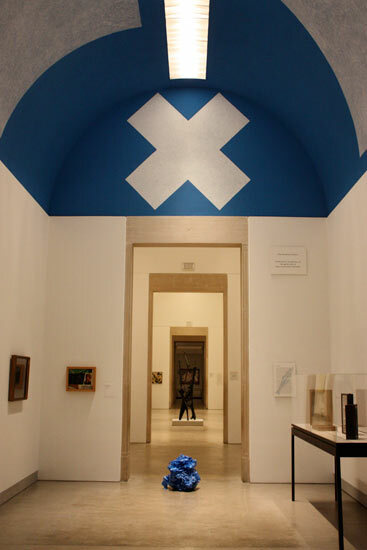 The program also features a student art exhibition at the Philadelphia Museum of Art. 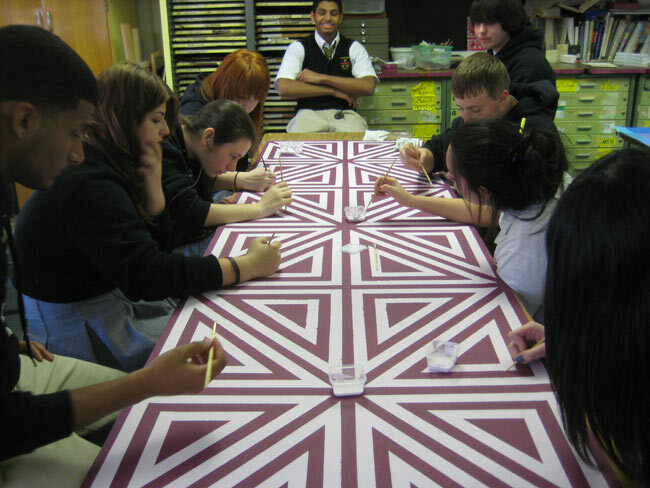 The Art Futures Program pairs professional teaching artist with high school art programs. 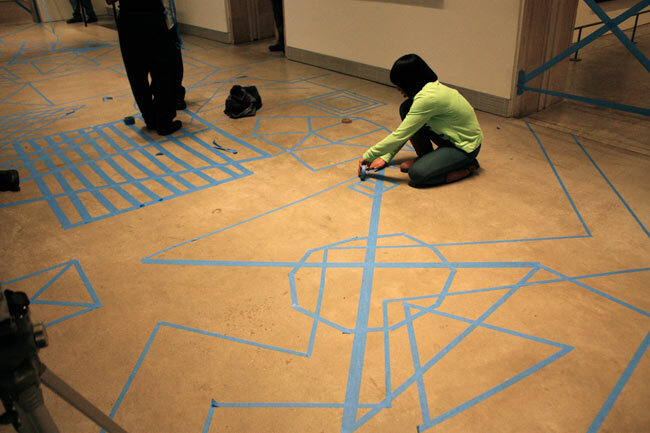 The artists spend 30 hours in residence working with the classroom art teachers and students to design and implement art projects that reflect both the classroom curriculum goals, and the particular expertise of the resident artist. Both the artist and the schools are selected through a competitive process. 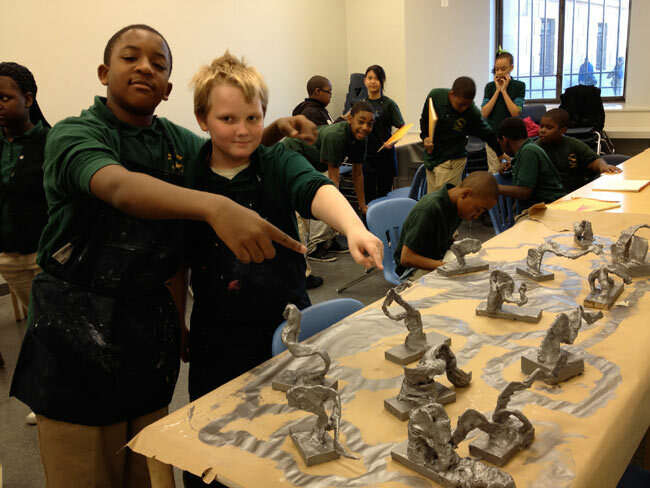 In addition to creating art in the classroom, the program features customized Museum tours and a juried student art exhibition at the Museum. 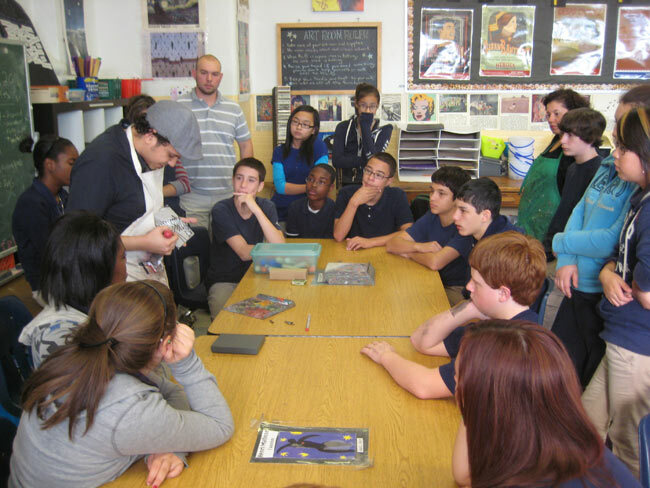 Each year, Delphi Project Foundation provides funding for five Philadelphia public schools to participate in the program. 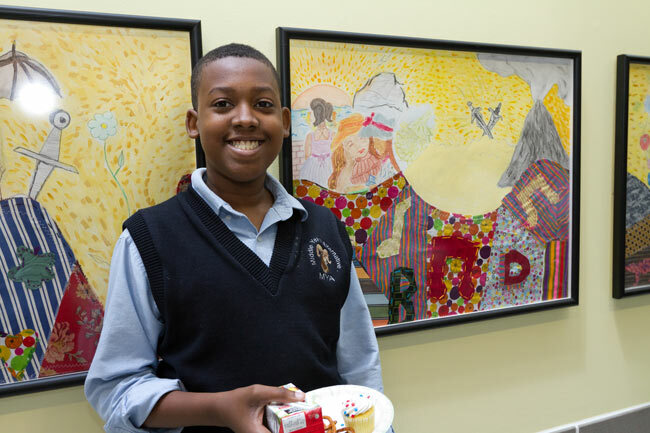 The Philadelphia Museum of Art secures additional funding for five Philadelphia area Catholic schools to also participate in the Art Futures Program. The Delphi Summer Teen Media Program provides unique training both in the visual arts and filmmaking. For six weeks during the summer, students work with professional filmmakers to learn camera techniques, acting exercises, script writing and film editing. The students create a portfolio of short films inspired by the Museum’s collections, public works of art and current social issues. Once the films are complete, the students participate in film screenings at the Museum and in their community. 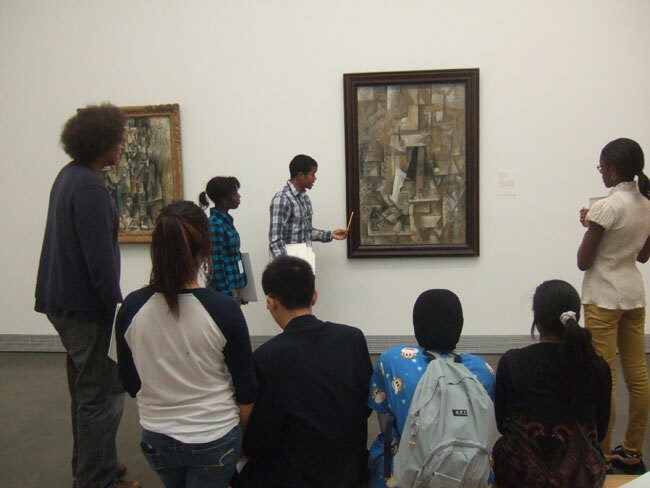 Throughout the summer, the program also exposes the students to career opportunities in both the visual and media arts. 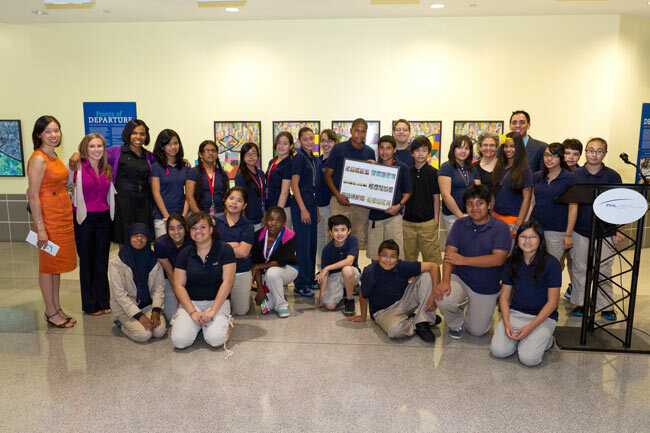 The Museum currently partners with the Big Picture Alliance, Taller Puertorriqueño and Esperanza Academy Charter High School in the implementation of the Delphi Summer Teen Media Program. The Delphi Project Foundation has supported the creation of a variety of teaching materials for use at all grade levels in the Philadelphia public schools. Based on the Museum’s permanent collections, these resource kits include full color reproductions of works of art, background information, teacher guides with learning activities, posters and power point presentations. 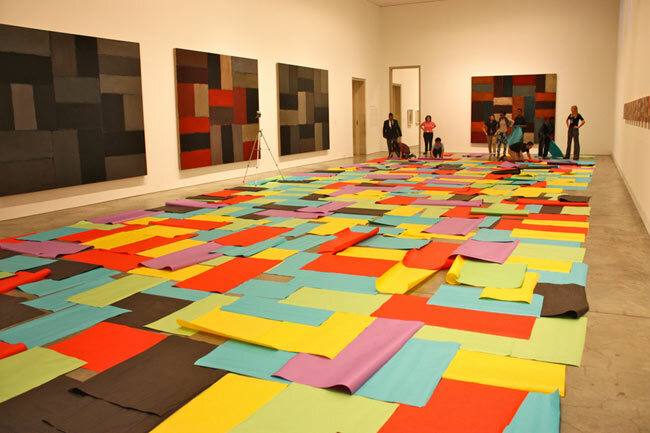 These teaching resources encourage all classroom teachers, not just art teachers, to use visual arts as part of their core curriculum instruction. Free to all Philadelphia public schools, they serve as pre-trip materials for classrooms visiting the Museum and as permanent classroom resources for classes that are unable to visit. 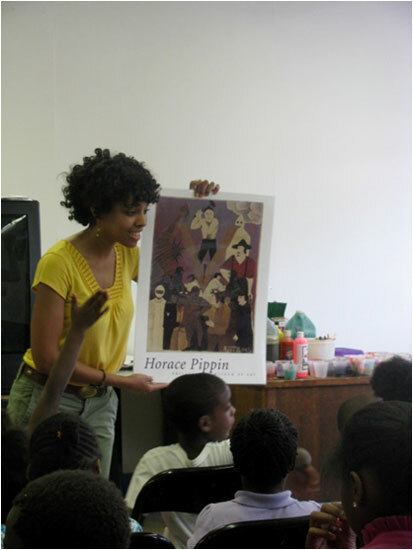 In partnership with the Free Library of Philadelphia, the Education Department at the Philadelphia Museum of Art oversees the Free Library Summer Reading Program partnership that takes place from June through August every year. 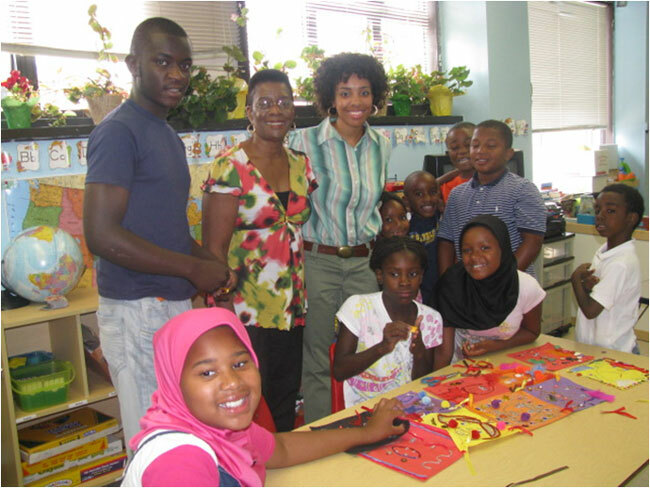 Developed in 1997, this collaborative program gives participants in the Summer Reading Program at all 54 branches of the Free Library of Philadelphia a community pass for the Philadelphia Museum of Art. 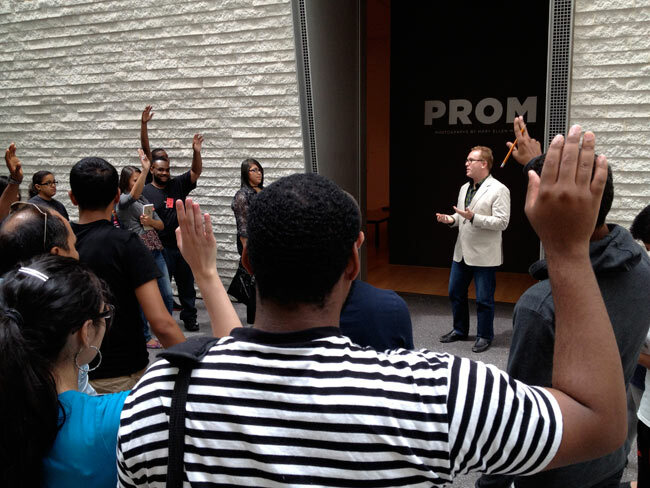 This program encourages new audiences to visit the Art Museum for free over the summer and provides professional development for two college interns who present a free arts workshop at over 20 Libraries throughout Philadelphia. 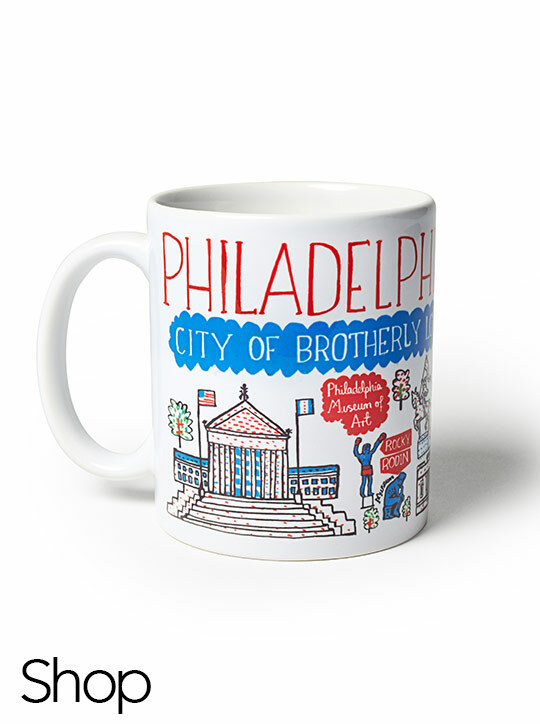 With this program, participants at local branches are connected to the literacy programs at the Free Library and receive a free community pass for up to 6 people to visit the Philadelphia Museum of Art. 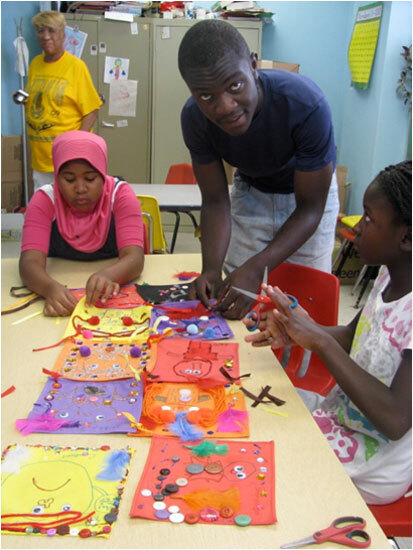 This program supports community based initiatives to celebrate literacy and the arts and share the resources of the Philadelphia Museum of Art.